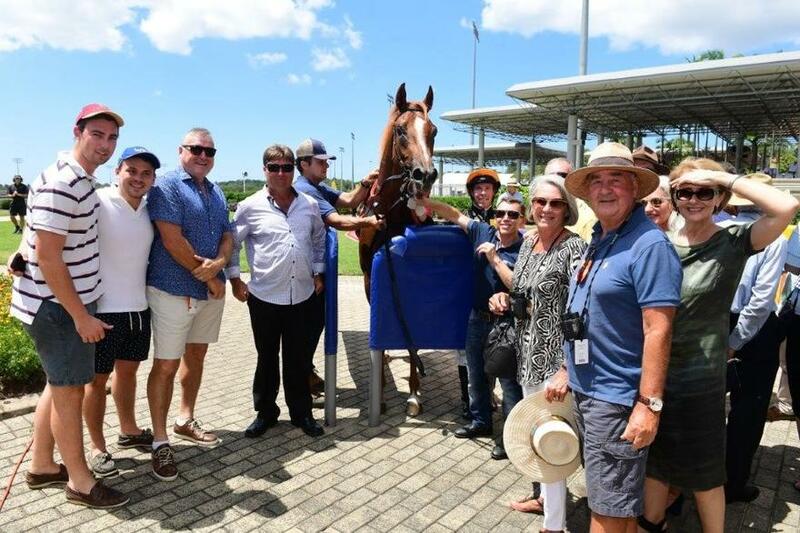 Having his first start under trainer Chris Munce, Racecourse Road showed off his talent to his owners when he won the TROPICAL LANDSCAPE CONSTRUCTIONS QTIS Two-Years-Old Maiden Plate last Sunday at the Sunshine Coast. Jumping out over 1000 metres the colt broke well from his wide barrier and quickly mustered up speed to cross the field and by the 800 had taken up the front running spot with Mattere and Loose Tiger sitting just back half a length, one either side. The remaining horses were about length back settling into their running positions. As they travelled along not much changed up front with Racecourse Road holding the first position and the other two still sitting back waiting for a chance to have a go at the leader. When they began the turn for home his jockey, Ronnie Stewart, gave the reins a bit if a shake and Racecourse Road started off down that long Corbould Park straight with both Mattere and Loose Tiger going with him. 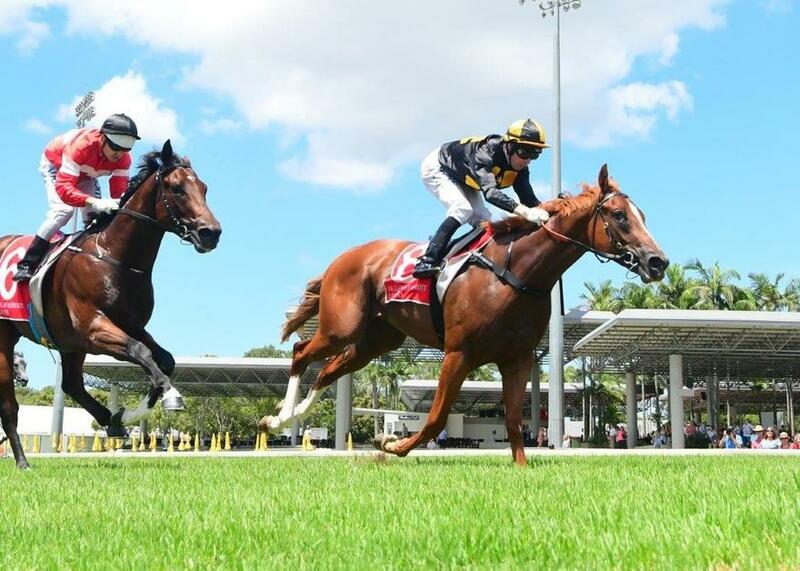 Loose Tiger was the first to start dropping back and as they hit the 100metre mark Racecourse Road and Mattere had pulled away from the rest of the field to battle it out. Racecourse Road did not give up the lead and even though Mattere stuck in there to the end he was never going to get past the determined colt, who just kept finding the line. Racecourse Road crossed the finish line half a length clear of Mattere with Loose Tiger back in third by three lengths. Stablemate Elaborate completed the first four runners.His time was a hot 59:53 on a Soft 7 track. The flashy chestnut colt is by Show Of Heart and is out of the good producing mare Kidnapper by Red Ransom (USA). This makes him a half-brother to Cape Kidnappers, Double Superlative and Tiger Dimejan. Congratulations to all owners and connections.